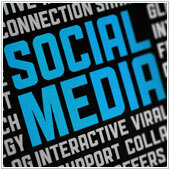 Social media has become an important part of any business’s marketing strategy. By having an active presence on the main networks, you will likely see increased sales or at the very least an increase in brand recognition. So, while social media is an invaluable marketing tool, there are also other departments which could benefit from it. Below are four non-marketing oriented uses of social media that businesses could benefit from. LinkedIn is a social network dedicated to helping professionals and organizations connect and find jobs and new talent. Most social savvy companies will have a presence on this network and may even hire exclusively from here. If you are looking for new employees, it wouldn’t hurt to have a LinkedIn profile. To find the best talent, you need to forge and maintain connections (usually starting with people you know), and be somewhat active in groups and on message boards. It’s also important to not forget the other major networks when it comes to hiring. Tweeting a job opening on Twitter, or posting ads on Facebook could also help you find your next employee. Facebook can be particularly useful because you can pay to target ads (in this case, job openings) at specific demographics. Communication is an important part of business, and most people choose to communicate using email. You have probably seen emails with jokes, invitations to after work events, lunch orders, etc. sent to the whole company and also received the many replies that go with it. This can get very annoying, and also confusing. Why not utilize social media for non-essential (aka. not related to work) communication. Set up a Facebook group where your employees can share content, invitations to lunch or after work gatherings, interesting stories, etc. That way you can limit email to more important, business-related aspects. Using social media for internal communication is also beneficial for companies with younger workers. Most already see Facebook, Twitter, etc. as their main form of communication, some even feel more comfortable communicating over this medium as opposed to speaking out in meetings. Having a group portal or Facebook page could give less-empowered employees a way to voice their ideas, and maybe even improve on them with feedback from others. A common complaint of many business owners is that they have a tough time staying on top of ever-changing trends and what currently interests their customers. Using social media to connect with your customers can be a great way to learn not only hot trends but also about new ideas. When it comes to social media, users will often complain publicly on their wall or through their tweets. This is bad for you, as the reach of this complaint can go a long way and make you look bad. Some companies have decided to confront this head on by having specific customer service accounts. If a customer complains, has an issue, or even compliments you, be active and respond using that account. If done properly, over time, you will see more and more people reaching out to your customer service account through social media. This also gives you another way to please clients or turn around negative customer experiences. Social media and the various platforms are not only great for marketing, but can be incredibly useful for other business functions. Do you have any other ways you use social media? Let us know. Or, if you would like to learn more about how it can help your company, then contact us today. 2013may07_socialmedia_abenefits of social mediahiringinternal communicationlearningQS_3social mediasocial media benefitswhy use social media?